Representatives from Fr33 Aid, Anti War and the Free State Project will be hosting a panel discussion on the advantages of Bitcoin to non­profit organizations at this years Bitcoin 2013 Conference. (San Jose, CA) – On Sunday, May 19, 2013 at the Bitcoin 2013 Conference Teresa Warmke from Fr33 Aid, Angela Keaton from Anti War and Carla Gericke from the Free State Project will be discussing how the world’s most popular virtual currency can be used for banking and fundraising by non­profits and how non-­profits help build the Bitcoin economy. The panel will be moderated by Dr. Stephanie Murphy from the Porc Therapy Show. Representatives of all three organizations, along with volunteers from Bitcoin Not Bombs will be available at Booth #15 in the exhibitors hall for the duration of the conference. 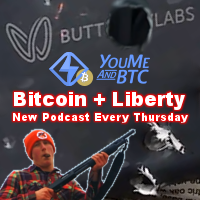 In addition, the limited edition Bitcoin Not Bombs t­shirts will be for sale, along with a variety of other cool promotional items, with the proceeds going to these three outstanding liberty organizations. About Fr33 Aid: Fr33 Aid is an all-volunteer, international non-profit organization of medically skilled liberty lovers created to help individuals organize projects that educate people about the value of mutual aid. Their main activity involves supporting volunteers who provide medical and educational services at liberty-related events. 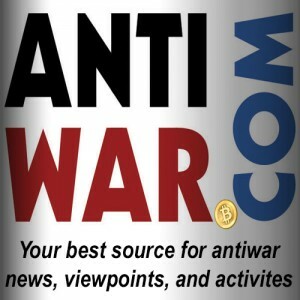 About Anti War: Anti War is devoted to the cause of non-interventionism and is read by libertarians, pacifists, leftists, “greens,” independents, and many on the right who oppose imperialism. About Free State Project: The Free State Project is an agreement among 20,000 pro-liberty activists to move to New Hampshire, where they will exert the fullest practical effort toward the creation of a society in which the maximum role of government is the protection of life, liberty, and property. 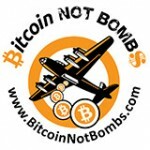 About Bitcoin Not Bombs: Bitcoin Not Bombs is a launching pad for NGOs and social entrepreneurs into the financial freedom of the Bitcoin economy, offering premium publicity campaigns designed to facilitate an organization’s adoption of Bitcoin as a payment system, and to fully capitalize on that decision in their fundraising efforts. Bitcoin Not Bombs is fully committed to being the hub of the non-profit sector of the Bitcoin economy, maximizing the potential cross promotion off all our clients and commercial partners. Hope to see video of this later! Wish I could be there.